This week started with a bang on Moonshine and Sunlight, because of the awesome giveaway going on! I hope you have participated already! If not, don’t go anywhere without participating, Okkaayyy??! If you have seen the movie “Mean Girls” then you would know where this saying, “On Wednesdays We wear Pink” , comes from. So, this being a Wednesday and all (*Bleehh*), I thought of going pink here on the blog! And with holographic glitters, no less. Let’s get on with the details of That’s My Pop Cake, shall we? The packaging is, LOVE! A very cutely shaped bottle with a silver, metallic cap. Not every day you get a nail polish, which comes in a cute bottle! I like the brush; considering that this is a glitter top coat, the brush should be a little wide and not too soft, so that I can take out the glitters and apply them properly. And the brush is just like I wanted it to be! The shade number is 18. 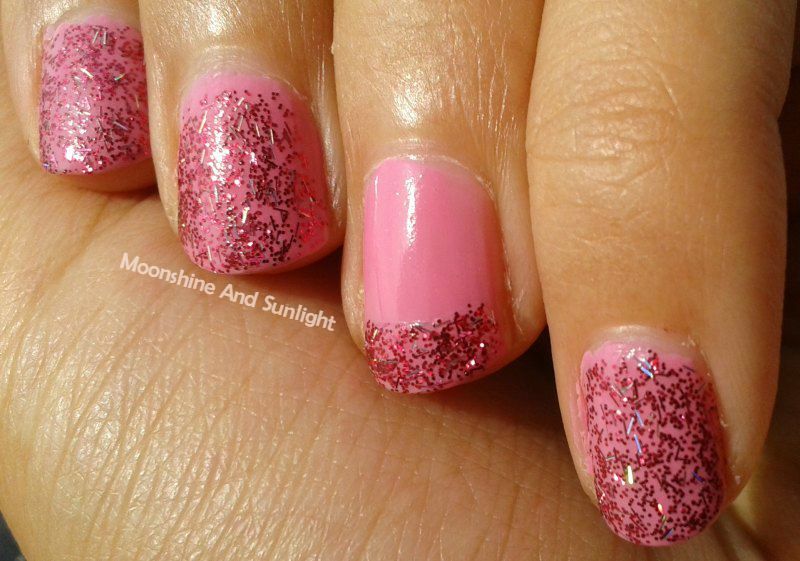 The top coat is looooaaddeedd with micro Magenta glitters. Along with the glitters, there is one more type of glitter, Holographic glitters in Strips/Feathers. 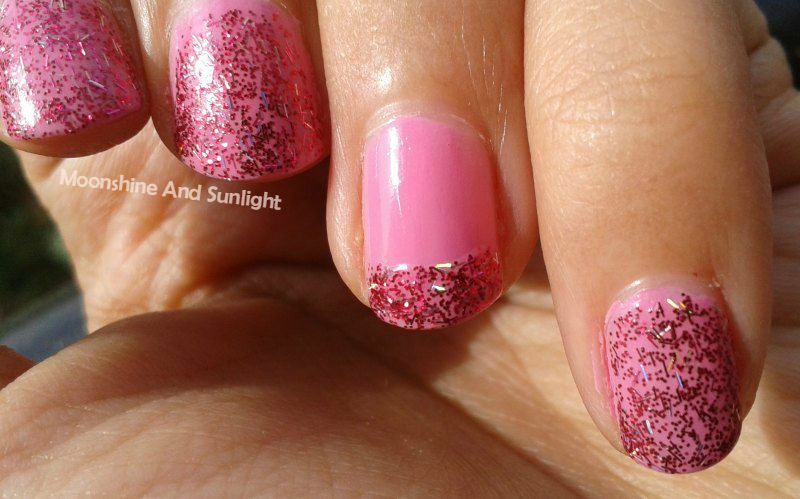 The magenta glitters are micro glitters and the strips are medium in size. The finish is glossy and even. I had thought that this would have a “sandy” texture, but I was happy to find out that it didn’t! I love this polish as it is densely packed with magenta glitters with some holographic strips thrown in! It dries very quickly, so you have to work fast with it, in case you are doing a nail art! This would be perfect for some nail arts! I am wearing just one coat of this polish on Streetwear's "Be Mine" (swatch). It lasts for a long time on nails as well, without getting chipped, etc. It gets a bit streaky while applying, but the settles out smoothly. 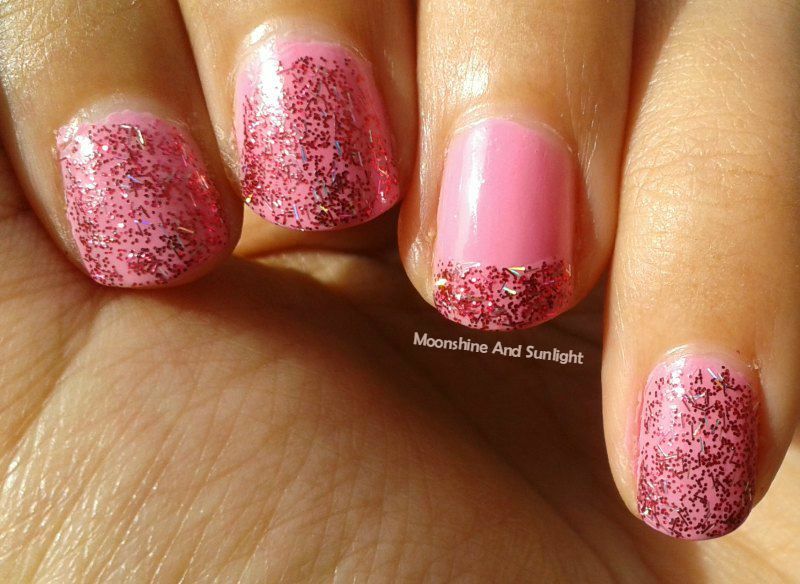 All in all, I would recommend you to try this out, because even after L’Oréal’s (details) and Maybelline’s Releases (details) in the top coat department, there is not many tiny glitter-packed top coats in India with Holographic glitters in them. And if you want only holographic glitter top coat , you can check out my fav – Faces Sparkles. Have you tried any polish from Essence? They have gel polishes as well! Do let me know, if you like something and would want me to review/try out ! If you haven't already !